After all the drama we saw surround the Los Angeles Lakers this week, no one expected LeBron James and Co. to go into Boston and take out a much superior Celtics team. For a while there, it seems like Los Angeles was going to get blown out. It trailed by nearly 20 points in the first half before James and Co. started to do their thing. Even then, the Lakers found themselves down by six points with less than 90 seconds left. That’s when Kentavious Caldwell-Pope and King James hit back-to-back threes to tie the game. Down 128-127 in the final seconds, veteran Rajon Rondo grabbed a rebound on a Brandon Ingram missed layup and put the ball in the basket for the game-winning shot as time expired. It really was something to behold. 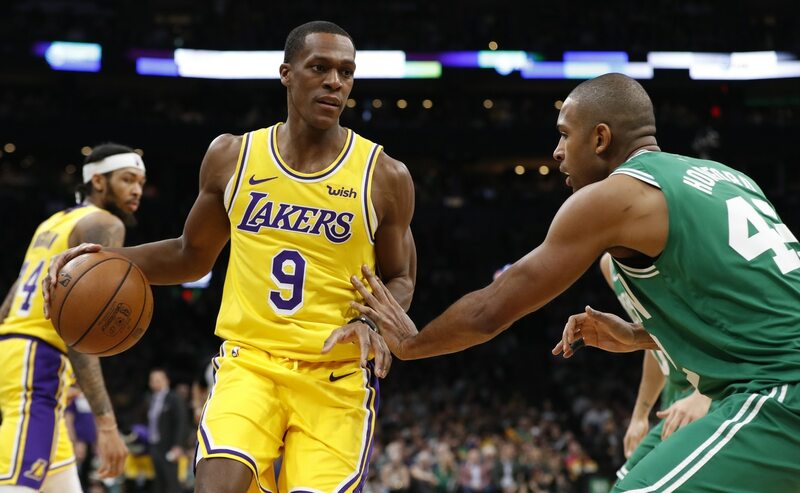 Not only did Rondo run down the rebound after the Al Horford block, he put up an off-balance two from 20-feet away and came away with the walk-off win against his former team on their home court. How about that, Lakers fans?